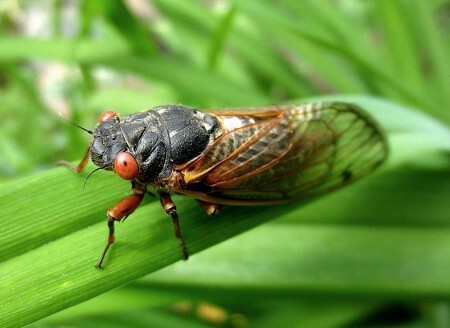 On the first Saturday in June, several Suburban Foragers met together at my house for a “Cicada party”. 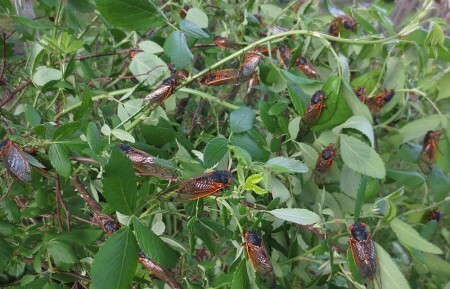 We were experiencing one of natures rare phenomena, the swarming of the 17 year cicadas, and since they were so plentiful (covering everything in sight), we decided to explore their edibility. 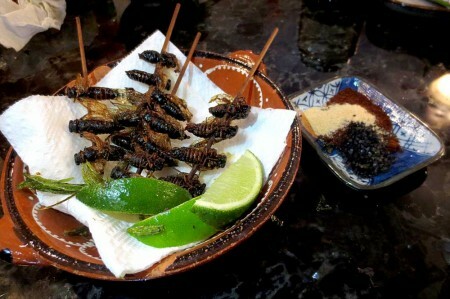 Now, don’t get me wrong, none of us actually relished the thought of chewing on these airborne arthropods, with their red eyes and beetle like appearance, but as survivalists, we felt that we should at least sample them to see what they tasted like. 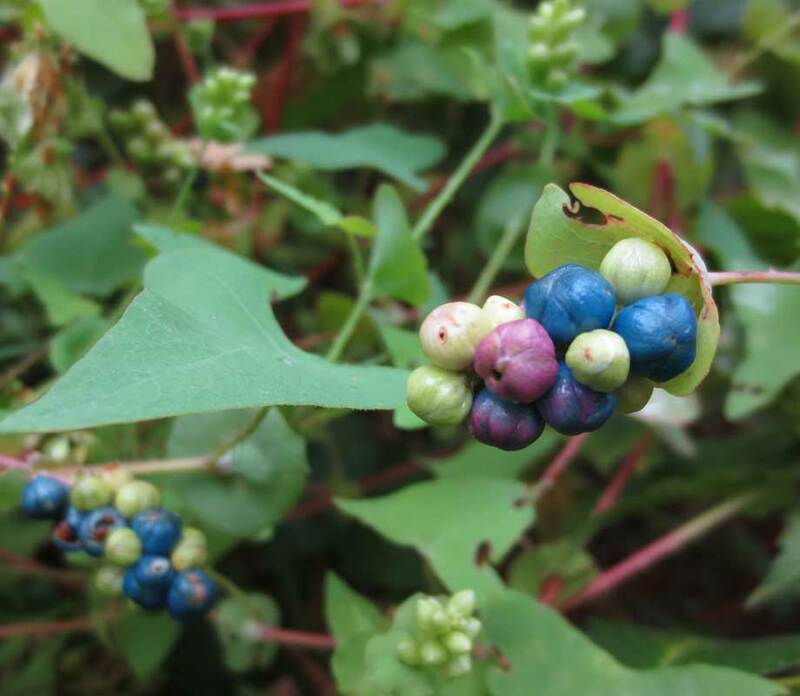 In the days leading up to the event, I wandered my neighborhood with a quart container gathering these little beauties in preparation for our feast. I found that since they were all in the process of climbing, it was a simple matter of holding the cup under one and tapping it on the head, causing it to fall into the cup. Once there, despite legs and wings, they couldn’t get out again. Once I had a cupful I lidded it up and put it in the freezer. This not only killed them, but made wing and leg removal much easier. On the day of the party, everyone arrived skeptically anxious to sample their first bugs. Since we’d previously tried them boiled and found them to be too soggy, we started out by putting a bunch on a skewer, brushing them with oil and putting them over the barbecue. Once they looked done I brushed them with spicy tamarind-date sauce and left them to caramelize. The end product didn’t appear very appetizing, but was remarkably tasty. 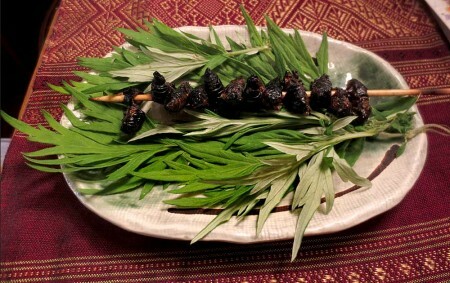 We put cicadas on a spit and put them on the barbecue grill, brushing them with a spicy tamarind-date sauce. End result – delicious! 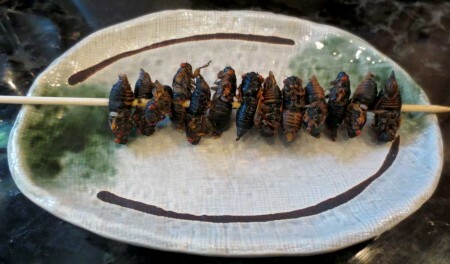 Sachi and I had previously tried the boiled cicadas which we agreed tasted like a cross between peas and peanut butter. We were anxious to see how they tasted barbecued. To our utter delight, they were really good – crisp and juicy, sweet and spicy. So good in fact, that Susan and Kathy, who had been rather squeamish about the whole thing, each decided to try one. 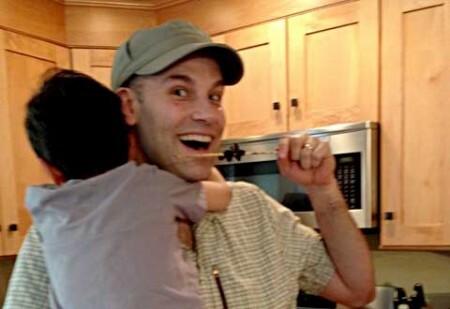 Although they were tentative at first, they found that they enjoyed them so much, they both ate a second. 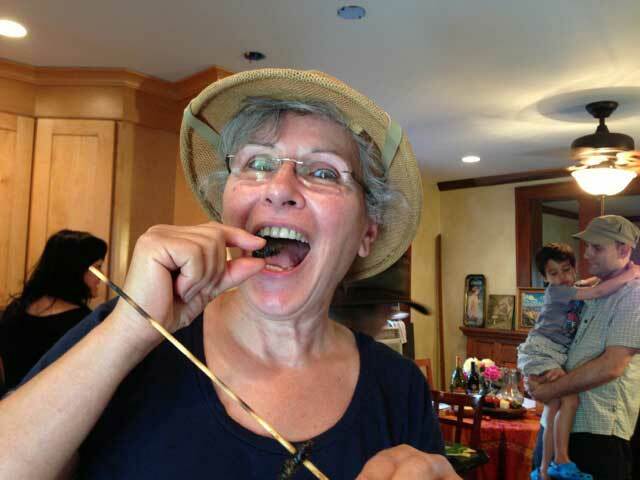 In fact, everyone there, including Sachi’s husband made sure to sample a barbecued cicada. Now it was Sachi’s turn to try a recipe, and she decided to go for the tried and true method of deep frying. Let’s face it, most things taste better fried, and these were no exception. Sachi served them up Mexican style. We all dug in and sampled them. It was like being in a Mexican street market. Next, Sachi made up a batch of tempura batter. We made up skewers with fresh fruit and cicadas, and, after dipping them in the batter, fried them to a crispy golden brown. 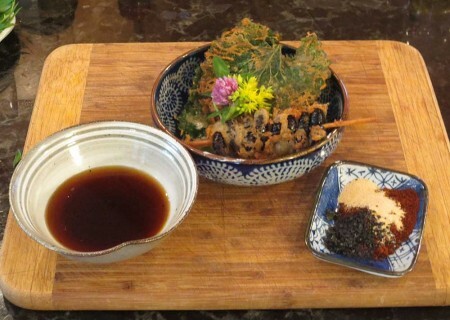 I made up a skewer of pre-boiled cicadas, which we then battered and fried, serving it on a bed of garlic mustard tempura, accompanied by an asian dipping sauce. 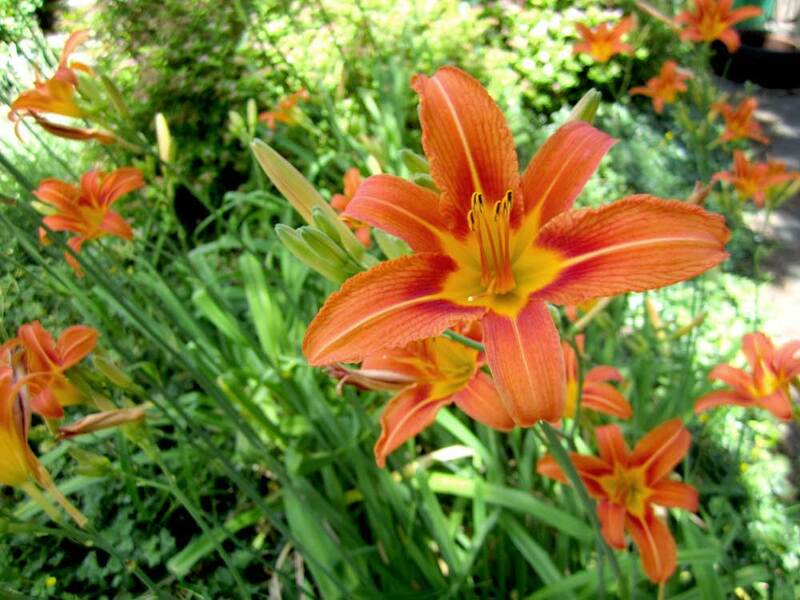 I assumed that this was another favorite, as it disappeared rather quickly. Just for fun Sachi had brought a plate of sushi, which we dressed up with fried cicadas. It really didn’t appear very appetizing, but once again, the dish was soon empty. We decided that this was so much fun, we’d do it again (17 years from now).